Hello you. My name’s Nick, and I’m a game developer. Well… sort of. Y’see I’ve never completed a game before (although you can try some of my in-progress games on this site), but this time will be different. I can feel it. So what’s so difficult about that? Not all cells support all colours. By hovering the mouse over a cell, the player can see which colours are available and which aren’t, and must plan a strategy accordingly. 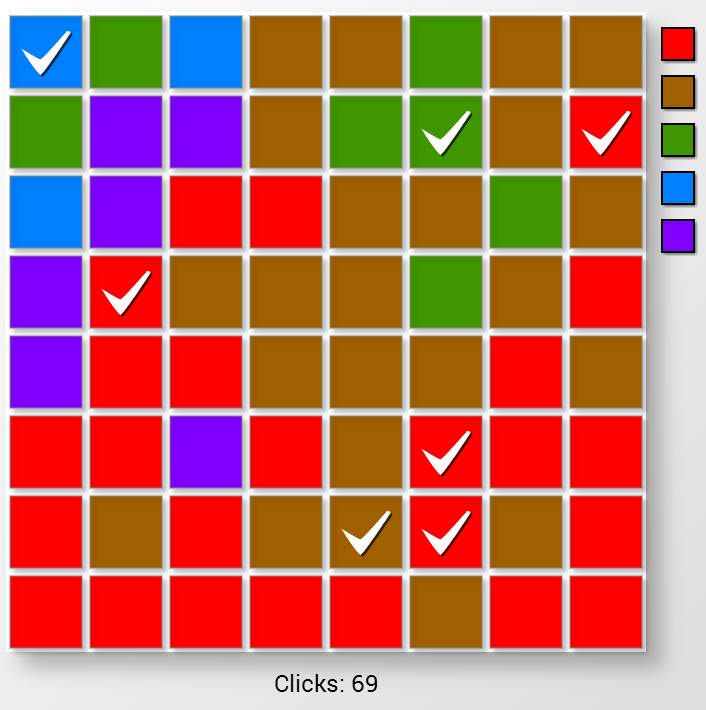 I like to think of it as a cross between minesweeper and Sudoku. Of the games I’m developing now, I’d say this was the most complete. All I have left to do with it is tighten up the menus and graphics and get it working on mobiles. I’m toying with the idea of either selling it (at which point I’m not sure whether the free game will remain or not) or keeping it free with advertisements to try to recoup costs. If anybody has any suggestions or feedback on these ideas, then I’d love to hear from you. The comments below would be perfect for that. 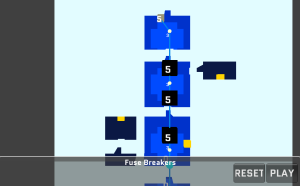 Next we have a larger and more ambitious game called Fuse-Breaker. This was my and my girlfriend Becca’s entry into the 5th BaconGameJam. We had 48 hours to create a game from scratch, and our prompt was “Lights Out”. I did the code, she did the sounds, 2D art and level design. You can play it here. 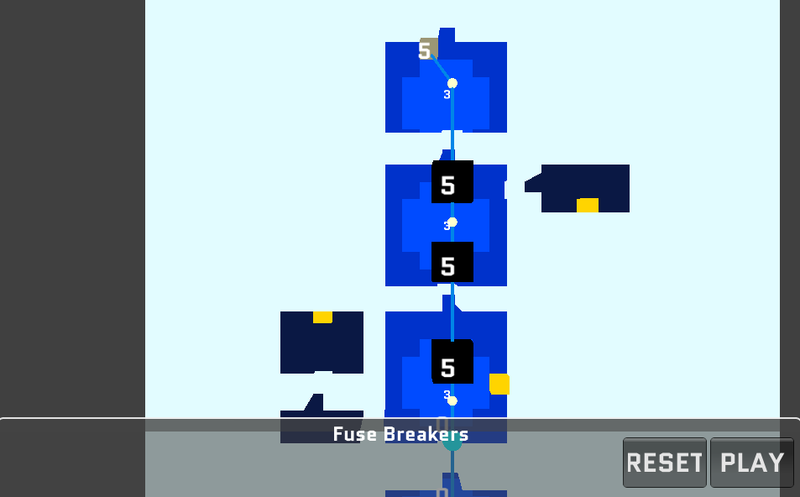 The game takes place in two stages, the circuit and the burglary. Circuit mode displays a blueprint of the target building, along with the wiring of any of the powered objects in the room (for now just lights). 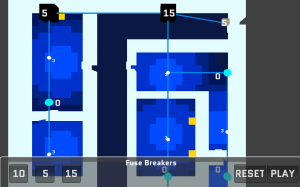 Blue dots in the diagram signify areas where you may place a “fuse”. Fuses are delay timers for the electricity. Once they count down to zero the electricity will pass through them to the next object in the circuit. Lights will delay electricity for three seconds, the fuse box, where the power begins will hold the electricity for five seconds. Empty fuse points do not delay electricity at all. When a light receives electricity it will illuminate the area around it. Getting caught in the light ends the game, so you have to be careful! 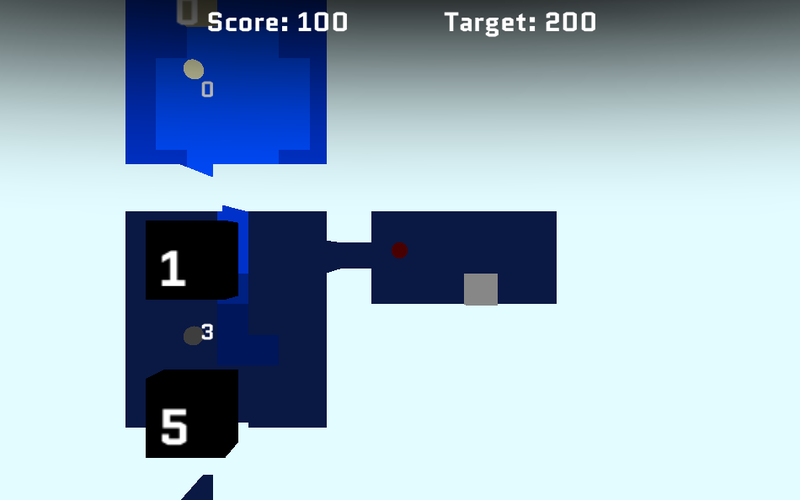 In Burglary mode you take direct control of the player. You run around in the darkness, making your way to the various safes in the building. Holding space for 5 seconds opens the safe and nets you 100 points. If you can get enough points to reach your target and get to an exit without being caught in the light then you win and can progress to the next level. Eventually I hope to prepare Windows, Mac OS X, Linux and Android builds of this game, but that’s a long way in the future now. As you can see, there’s plenty of room for polish and expansion, which is what I plan to do over the next few months, so stay tuned for updates! The final game is a thus far unnamed space adventure, a deep and complete re-examining of the celestial genre. During development I will be looking at all the common tropes and aspects that make both a successful and unsuccessful astral adventure, and I will discuss them here with you. This is my baby, my darling. I played it in my head for five years, and I built it and started again three times. 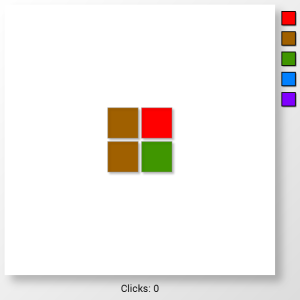 I made my own engine for it in C# using SlimDX. I found myself making fairly reasonable engines, but I’d never have time to make the game itself. Now I’m doing it in Unity, and I’ve got more playable stuff here with this past month of work than I have ever had. I’d like to gush about this game for ever and ever, but for now I’m going to keep most of the stuff under wraps. As features get written I’ll update you and let you into this wonderful universe I’m building, but until then mum’s the word. It’s the last paragraph and the word count widget I have here tells me I’ve already rambled for 960 words (980 if you count this sentence), but what is this blog about? What will I post? I haven’t settled on a posting schedule just yet. Once a week most likely, to keep in line with screenshot Saturday, but maybe more or maybe less depending on my schedule. I’ll update you on all of my games as I work on them, so some days expect Fuse-Breaker news and discussion and sometimes you’ll get an update on Cell. I’ll keep them categorized appropriately, so if you’ve only got room in your heart for one of my creations I understand, and you can filter the articles using the categories on the right. So adios until next time, internet friends, and play some games! Fun fact: Over half of my time working with unity is regularly wasted by forgetting to save scripts before testing them. 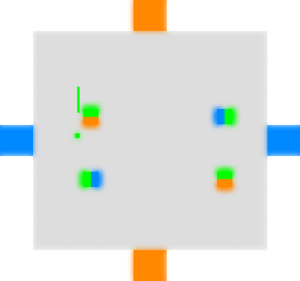 This entry was posted in News and tagged Cell, Fuse-Breaker, Snake and Ladders, Space Game on July 12, 2013 by Nick.